Maybe it’s just me but when I think of the word “animals” I tend to think of those creatures who live out of water. It just seems, in my mind, that fish and other sea life are somehow different. Whether you agree or not, this is the place on Free Vintage Art to find copyright free fish drawings. In time, it will most likely become the category that includes pretty much any creature that lives in water but for now, it is dedicated to fish. The one drawback of working with fish images is that they are generally wider than they are tall. I could either stand them on end like the book publishers often do or, I could position them as you would most likely use them. The unfortunate, side-effect of either decision is that the thumbnail previews would either have to be itty bitty or show only a small part of the fish. I opted for a small representation rather than adding itty bitty fish drawings that you could most likely not even see. 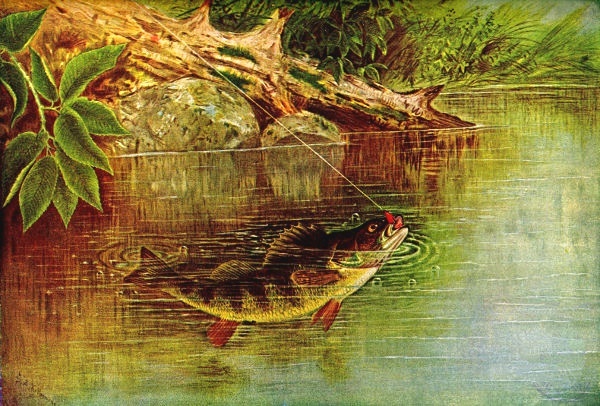 Vintage yellow perch drawing from an 1899 magazine. Vivid greens, golds and blues show the beauty of this game fish. 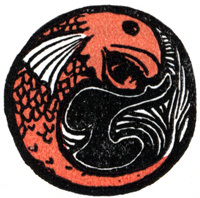 Vintage, circular red fish drawing from 1914. The three-color image (red, white, and black) is somewhat small but would still add drama to your work. 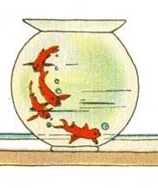 Vintage goldfish bowl drawing from a 1912 children’s book. Features four gold fish swimming in a glass bowl. 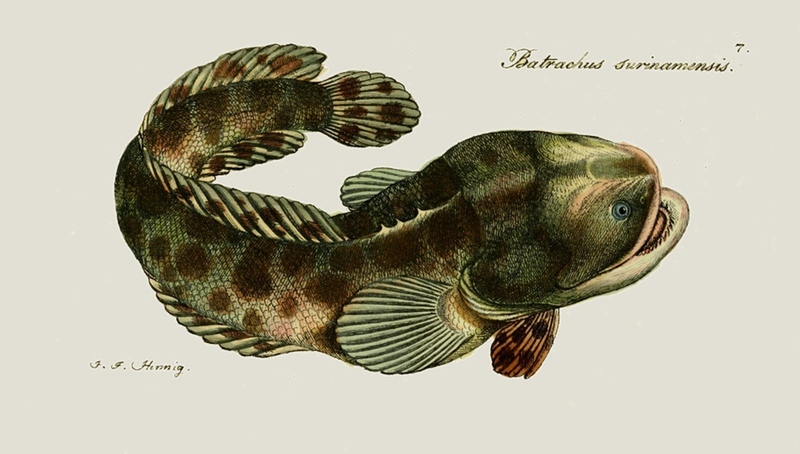 Full color, vintage toadfish drawing. The species is batrachus surinamensis. It is a pretty green and pink-ish fish book plate from 1801. Vintage black and white pine cone fish drawing from 1905. These beautiful fish prefer warm waters and the dark of night. 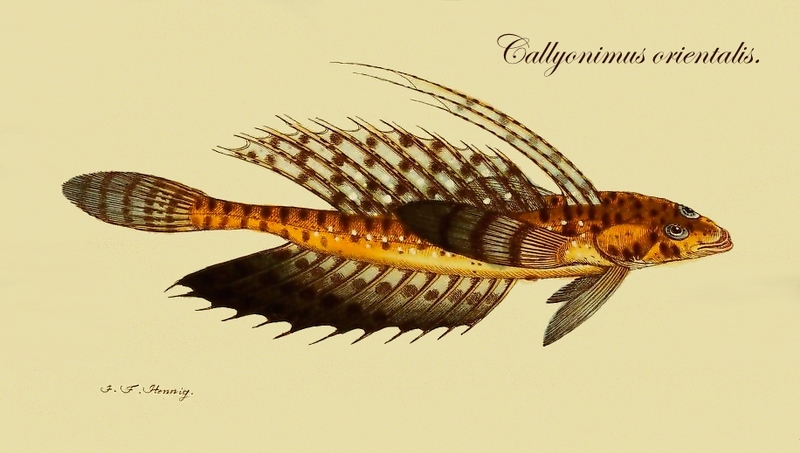 Vintage Callyonimus Orientalis drawing. Very little was written about this orange speckled fish but this beautiful colored drawing is a great printable. The thumbnail for this fish drawing is a bit sneaky as it only shows a portion of this fish. It’s a nice long drawing that includes the entire fish. 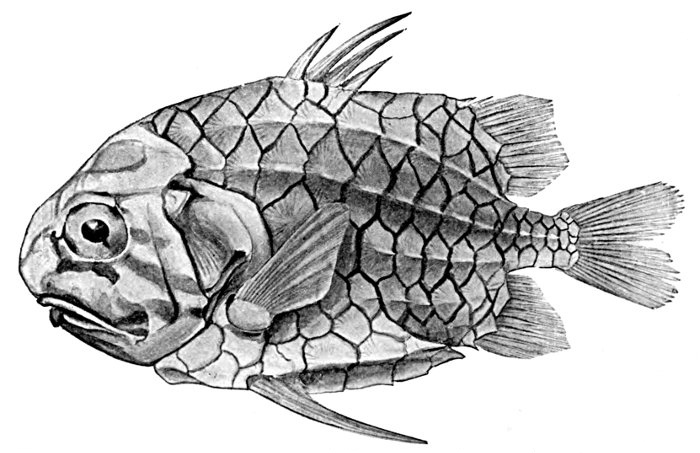 Black and white, long-eared sunfish drawing. 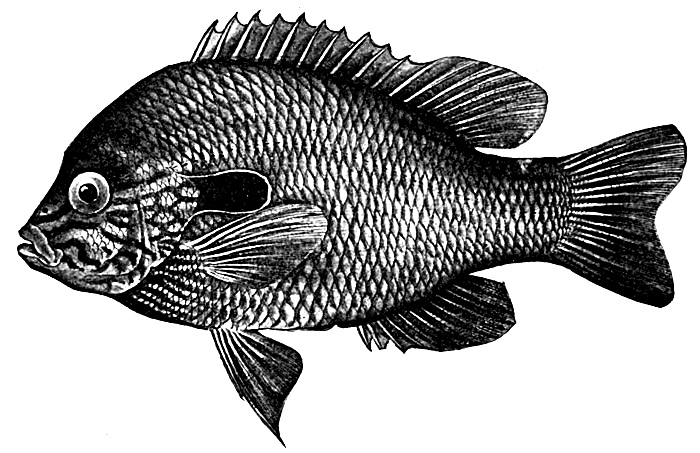 It is from a book all about fish published in 1905. It is copyright free in the United States.